Mozzarella Sticks - Madison had a craving for Mozzarella Sticks. I suggested she bake up a healthier version instead of frying, and I shared a recipe with her to try. That recipe bombed! Let me tell you it was BAD! 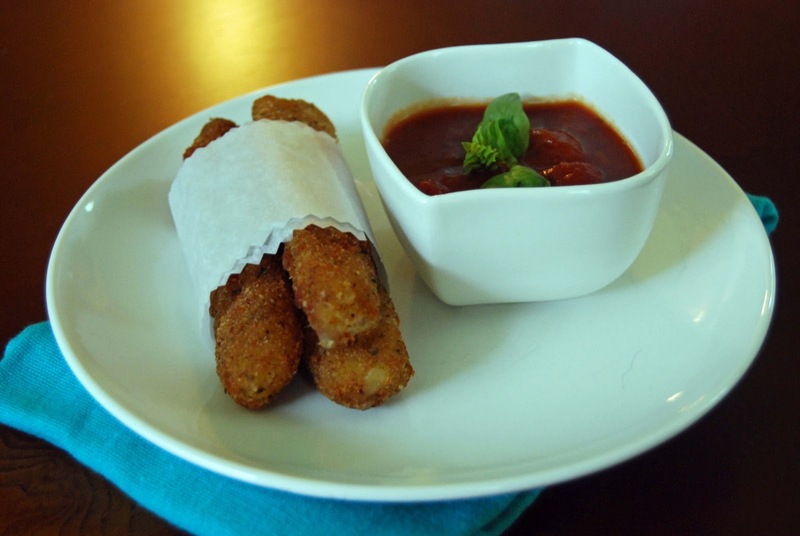 Mozzarella sticks are meant for frying - it's true! 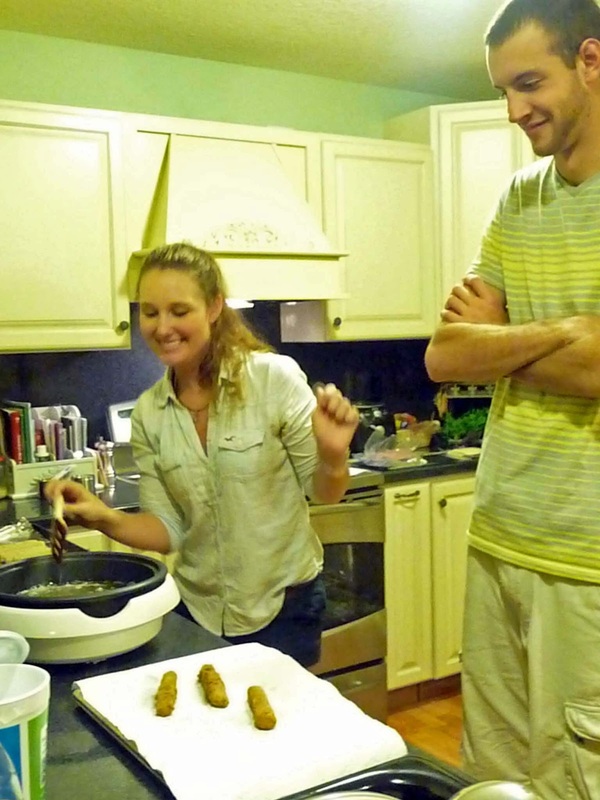 So Madison set out to fry up some 'real' mozzarella sticks! We don't have a fryer, so I advised she use an electric skillet to ensure she get the right temperature of the oil. If the oil isn't hot enough when you fry, the food just ends up super greasy. 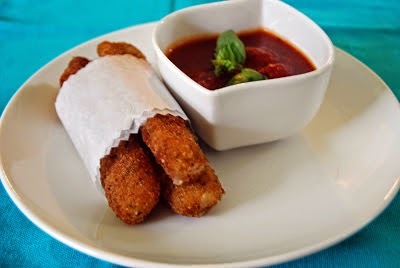 She double breaded the cheese and went to town making the best mozzarella sticks!! yummmm. These were easy to make in the skillet and super delicious! 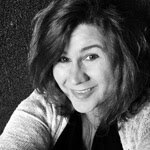 The electric skillet I have is super versatile. It is the Aroma Housewares Super Pot with Grill Plate . I love to use this pot for all sorts of things, but I originally purchased it to use while traveling. One summer we were spending 10 days in a hotel for an equestrian event, and this pot saved us from having to eat out every single day! In a small bowl, mix the eggs and water. Mix the bread crumbs and garlic salt in a medium bowl. In a medium bowl, blend the flour and cornstarch. 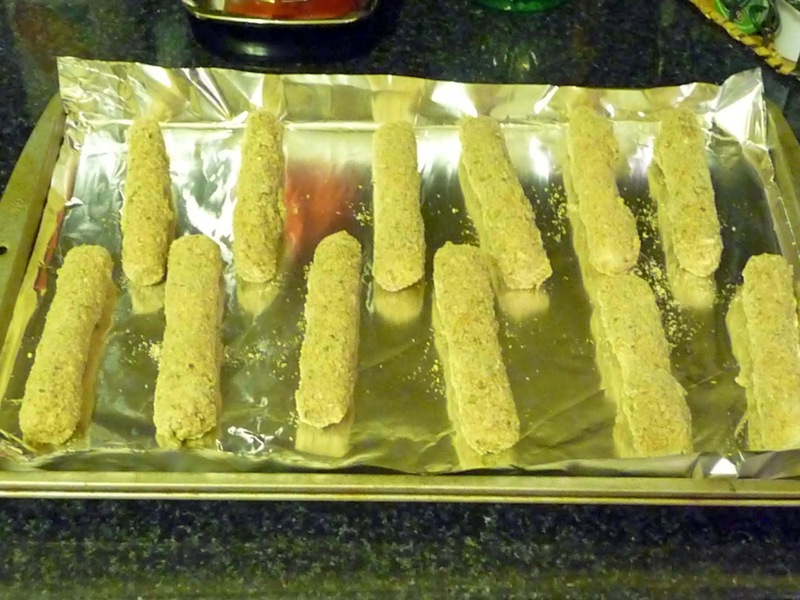 One at a time, coat each mozzarella stick in the flour mixture, then the egg mixture, then in the bread crumbs. 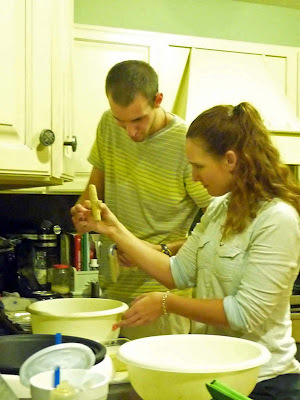 To double bread them, dip back in the egg mixture and then in the bread crumbs again. Place breaded cheese on a foil lined baking sheet and set in the freezer for at least 30 minutes. In an electric skillet, heat the oil to 375 degrees F.
Place one at a time into the oil. Fry until golden brown, about 30 seconds. Remove from heat and drain on paper towels.